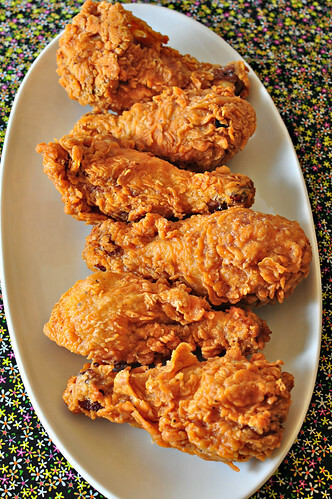 →How To Reheat Fried Chicken: Best Ways to Enjoy It Hot! How To Reheat Fried Chicken: Best Ways to Enjoy It Hot! 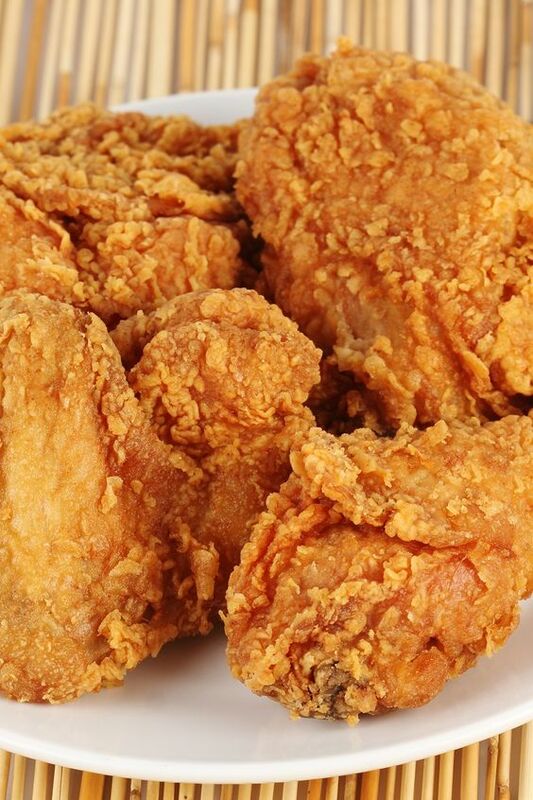 If you are interested in knowing how to reheat fried chicken, this post is a must-read! Learn some of the basic tricks to have a more delicious chicken meal. Savor its flavor and bite into its crispiness by knowing how to enjoy it hot! Like most of you, I love fried chicken. However, there is one thing that I hate – eating it cold. I like its crispy outer and golden color. I love it steamy, leading to the release of more complex flavors. Whenever I have leftover chicken in the kitchen, I always make it a point to have it reheated before eating. If you do not know how to do it right, keep on reading the rest of this post. Remove the chicken from the fridge. Let it sit on a clean plate for about thirty minutes or until it reaches room temperature. While waiting, to maximize your time, do the prep work you need to accomplish, such as preparing side dishes or setting the table. Also, as you wait for the chicken to warm, start pre-heating the oven. It should be preheated at 375 degrees Fahrenheit. Setting the oven above this temperature can result in burning. Position the chicken on a baking sheet. You have the option to put an aluminum foil to make cleaning a lot easier. Greasing is not required. While chicken is heated, occasionally check it. The amount of time it has to be in the oven depends on the part heated. Drumsticks and wings are smaller. They require lesser time for heating. Meanwhile, since thighs and breasts and larger, you need to wait longer before they are heated. Once the time has lapsed, take out the chicken from the oven. To know if they are ready to be devoured, look at the skin. It should be crispy and golden. Use a tong or fork to remove it from the rack. Place it on a plate and let it cool down for at least five minutes before eating. Allow the chicken to warm and reach room temperature, especially if it is frozen. Frying it while frozen is not good. If you drop it in oil while frozen, chances are, it won’t end up being crispy. In a pan, heat your choice of oil. You have to pick the right pan. Ideally, use a Dutch oven or cast iron skillet. They are better because of their ability to retain heat compared to other pans. Pour oil into the pan, making sure to submerge a generous part of the bottom of the chicken. Using tongs to take out chicken cuts from the plate and carefully place it in the pan. Fry for at least two minutes. Occasionally, turn the chicken upside down so it can be cooked evenly. If not, one side will be burnt and end up being too hot while the other remains warm. If you do not allow enough time to heat the chicken, only the exterior ends up hot. Take out the chicken from the pan. Allow it to drain. This removes excess oil from the chicken. Oil needs to be drained to make the skin crispier. You need to wait for at least five minutes before the chicken cuts are ready to be eaten. Do not put chicken inside the oven unless room temperature was reached. If it is cold on the inside, this can interfere with the process of crisping. To prevent dryness and to add moisture, consider spritzing water on the top of the chicken. When reheating chicken, re-seasoning is not necessary. Any original flavor from the batter can be retained. Olive oil is not recommended, as well as other similar oils with a low smoke point. They will result in bitter and burnt flavor. Best choices include vegetable, peanut, and canola oil. At all times, you should not use a microwave. While they are good in terms of convenience, they are bad for fried chicken. As it reheats the chicken, it dries out, resulting in loss of moisture. It can negatively affect taste and texture. The chicken can end up being warm with the soft and soggy exterior. Say goodbye to crispy chicken skin! Like the microwave, it may be tempting to use a toaster oven. It will not be good for your fried chicken. This is because it can lead to heating chicken unevenly. Some parts may get too hot while others remain cold. More often than not, they also lack heating power, resulting in the failure to have golden and crispy exterior. Do not use paper towels. The latter is one of the most common choices for warming chicken. Many people believe it allows oil to drain. However, the oil drained remains on the surface, and in turn, can only go back to the chicken. The end result is rehydration, resulting in soggy skin. When refrying, always use new cooking oil. Reusing cooking oil may seem an economical idea, but this can affect flavor, especially if the oil has been used for frying other dishes. Regardless of the choice of method, once you are done, eat the chicken immediately! Do not wait before it gets cold again. Rewarming chicken repeatedly is not recommended since this might lead to loss of flavor and moisture. At this point, I hope that you learned how to reheat fried chicken. It is important to pay attention to how this is done right for the chicken to be crispy on the outside and juicy on the inside. The right method of reheating retains its flavors and makes it taste like it has just been cooked! Leftover chicken should not be disgusting! They do not need to go to waste, as long as you know how they can be properly reheated.